dorje e gabbana wrote: Malcom Please provide any proof that CNNR has really stated or written what you have just stated about the fact that trying do to your best even though you are not in rigpa state is enough to keep other tantric samayas. "...according to Dzogchen the way to keep all samayas is to do Guruyoga." I might be missing something, but I don't see ChNN's quote as contradicting Longchenpa's in any way. The way I read ChNN's quote is that in Dzogchen practice, the only samaya is to find oneself in the condition of "what is," as it is. I believe this is the Dzogchen samaya, once one has transmission for it. He does not here say, imply, or intend that if you have already taken a Mahayoga empowerment for instance, with whatever samayas that entails, that taking Dzogchen transmission relieves you of that samaya and all you need to focus on is your Dzogchen samaya. I don't see how you get that at all from this quote. Please find some textual proof, in Dzogchen tantras or ChNN's own writing or transcribed teaching where he says this. I have attended a few retreats with him in person and a bunch of webcasts and read his books and I never ever heard him say this. "...according to Dzogchen the way to keep all samayas is to do Guruyoga." ... but of course it implies that one understand what is Dzogchen. 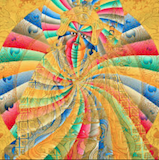 Dzogchen is not incuded in Vajrayana ... Vajrayana can be included in Dzogchen. ChNN call it "to integrate". I would revise that slightly -- ChNN's Dzogchen is not for all practitioners since people find his perspectives unsettling. Anyway, he said even just now, if you have not understood rigpa, then you do Song of the Vajra, as it says in the Nyi zla kha byor tantra. I don't want to split hairs here, but this is a general, and interpretable statement. Does he really intend this to mean: whatever tantric samayas you may have received from other Lamas, however profound, and despite whatever they may tell you themselves: it doesn't matter, just do the Guruyoga I teach you and drop the rest, and you don't need to worry about the rest. ?? I have a hard time deriving all that from this one line, excerpted out of context. Considering the potential problems with a misinterpretation I, and I believe many here, would appreciate him explicitly laying the whole thing out that you are claiming he is intending. I think the excerpt from Dudjom Rinpoche's commentary is crystal clear regarding Dzogchen practice, and I have a difficult time accepting such an oversimplified and general alternative, unless I hear ChNN actually state what you are interpreting. You know, if such issues are so very, very important to you, there's also Khyentse Yeshe - and various SMS instructors, qualified and Rinpoche-approved. If you don't trust Malcolm, why not simply write to them? Actually just yesterday he said that you can integrate teachings from other teachers, Gelugpa, Sakyapa etc with Guru Yoga but advised against telling them that because they would disagree. Sherlock wrote: Actually just yesterday he said that you can integrate teachings from other teachers, Gelugpa, Sakyapa etc with Guru Yoga but advised against telling them that because they would disagree. Are you sure he was not talking about integrating the teachers into Guru Yoga? I don't see how you could integrate other teachings into Guru Yoga, but Rinpoche always encourages us to integrate all of our teachers while doing Guru Yoga. Yes! For the 100th time! I have said this over and over again for years. I find it hard to beleive that anyone who has been following ChNN's teachings for years could have failed to hear him say this. No, he was talking about sadhana practice daily commitments! I frankly do not see why this is hard to understand. This was also teaching of Kunzang Dechen Lingpa. Last edited by Malcolm on Fri May 25, 2012 2:56 pm, edited 1 time in total. Malcom I tell you for the second time that I AM NOT Dorje Pizza. Pizza is 8 yrs younger than me, leaves in another country and I don't agree with most of his ideas I have read in various forums. Fine, you are not Pizza. From my point of view, your behavior is strange. And it is good that you give this up. I know very well, from long experience of many people including myself, that if she wrote an email to ChNN and asked him, he would tell her not to worry and to just continue to do Guru Yoga -- I have seen many personal emails from him to people with similar anxieties, because indeed this is a common anxiety. He always says the same thing. Malcom you repeat many times the same stuff stating like a child who want to convince hinmself that something is true, and your answer is quite superficial because he dos not explain nothing about the precise question that many people asked you, besides me. Good way not to face the problem many people are interested here pretending to know everything nearly better than CNNR when you understandig seems always more fragile. Yeah, to be fair, and as Malcolm knows, this was the advice given directly to me by ChNNR, he also clarified other points regarding Samaya with me, without going into specifics he assured me that specific instructions I have had from my Guru were identical to his, and all was satisfied with GY. This was also further confirmed to me by my Guru's brother, another Dzogchen master I trust. eah, to be fair, and as Malcolm knows, this was the advice given directly to me by ChNNR, he also clarified other points regarding Samaya with me, without going into specifics he assured me that specific instructions I have had from my Guru were identical to his, and all was satisfied with GY. This was also further confirmed to me by my Guru's brother, another Dzogchen master I trust. I think CNNR's teaching about the way to integrate all samaya trough Guruyoga is very precious. But GY according to him is sinynomous of rigpa because he is a dzogchen master and not a tantric master. Try to ask CNNR instead very directly if the samaya are kept even if you are not in the rigpa state and just sound A, using your mind and not abiding in the nautre of mind.. The way to integrate all the lineages and samayas in the "White A guru yoga" does not mean that everthing is OK if you practice GY only following a dzog chen style, rather the real issue is to be really in dzog chen state of natural mind , and if you are or you are not in that rigpa state while you sound A and visualize the A in the tigle. The problem is blatantly evident to anybody endowed with medium intelligence, unless you do not deliberately intend not to take it in consideration and you are not a Dzogchen practioners but rather a dzogchenist who feel happy to attend whatever Dzogchen church where they are nice people to get friend and dance and sing together. CNNR was clearly against this blind way to approach Dzog chen and he repeated many times that if one method doesn't work to discover what rigpa really is you have many methods to recognize it and you have to apply until you are not sure according to master explanation to be in the rigpa state. 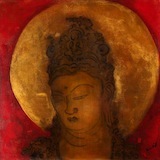 dorje e gabbana wrote: I think CNNR's teaching about the way to integrate all samaya trough Guruyoga is very precious. But GY according to him is sinynomous of rigpa because he is a dzogchen master and not a tantric master. As long as you are not indifferent, and are trying your best, then there is no problem, as I said -- a statement you rejected. The way to integrate alll lineage and samaya in the "White A guru yoga" does not mean that everthing is OK if you practice GY only following a dzog chen style, rather the real issue is to be really in dzog chen state of natural mind , and if you are or not in that rigpa state while sond A. As long as you are trying your best, there is no problem. Another misrepresentation. The question was "Can Ati Guru Yoga received from ChNN maintain your comittments to previously taken tantric practice commitments, etc." The answer, for those people who do not have wax in their ears and cobwebs in their eyes, YES! Ati Guru Yoga is not just a method of maintaining commitments, no on said that it was. It is a method of discovering your instant presence, a supreme method, more important than many others. If you need help, more assistance, then you add Song of the Vajra. The point is not to remain complacent -- and if you think that is what I was saying you really are very wrong. I don't even know who you are or if ChNN is your main teacher or what. But if he is, I am amazed that you do not understand the principle here. If not, then I can understand why you are out of step with our understanding. Still, you should know better than to sow doubts in people's minds when they ask honest questions. This person, Inge said she could not relate to the practice she had received. She wanted to know a simple answer. She received it according to the principles that ChNN has been enuciating for years. If you are folloing his teaching, you should integrate all your transmissions and teachings into Guru Yoga of one of three styles, Ati, Anu, or Mahā -- your choice. That's it -- it is really simple. No one was advocating complacency or indifference to samaya or anything else -- so it is egregious that you, gabbana, have created such a mispresentation. If people are offended because I said she did not have to go back to her former teacher and "give back" her practice commitment -- tough. Too goddamn bad. It is not necessary. This true, nevertheless if you understand what it symbolizes, even if only intellectually, I think it is sufficient. If people have a problem with understanding the A, then maybe they should try doing more elaborate GY, like with Padmasambhava. Perhaps you should learn something from them. Pero wrote: Perhaps you should learn something from them. Honestly, it is amazing -- answer a simple question and the Buddhist Sanhedrin gets all up in arms. Seven pages of pointless perseveration about poor Inge's personal business.